Hsia-Ching Chang, Susan Squires, Chen-Ya Wang (2016). Using Trace Ethnography to Compare Perceived Cyber-Threats of IT to Non-IT Professionals. The 22nd Americas Conference on Information Systems (AMCIS 2016), August 11-14, San Diego, USA. Hsia-Ching Chang, Chen-Ya Wang (2014). Mapping Conceptual Networks of Mobile Computing and Applications Research Using Co-Word Analysis. Proceedings of the International Conference on Applied and Theoretical Information Systems Research (ATISR 2014), June 18-20, 2014, Taipei, Taiwan. Hsia-Ching Chang, Chen-Ya Wang (2013). The Knowledge Map of National Enterprise Architecture: Decision-Making of Cloud Service Strategy. The 2013 International Conference on Business and Information (BAI2013), Bali, Indonesia, July 7-9, 2013. Chen-Ya Wang, Hsia-Ching Chang, Seng-cho T. Chou, Fung-Fei Chen (2013). Acceptance and Willingness to Pay for Mobile TV Apps. Proceedings of the 17th Pacific Asia Conference on Information Systems (PACIS 2013), Jeju Island, Korea, June 18-22, 2013. 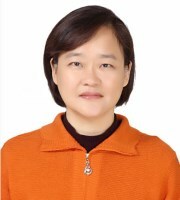 Chen-Ya Wang (2012). Understanding the Determinants of Use Diffusion in Micro-Blogging. Proceedings of the International Conference on Business and Information (BAI 2012), July 3-5, Sapporo, Japan. Hsia-Ching Chang, Chen-Ya Wang (2011). A Preliminary Forecasting with Diffusion Models: Twitter Adoption and Hashtags Diffusion. Proceedings of the 11th International Conference of Decision Sciences Institute (IDSI 2011), July 12-16, Taipei, Taiwan. Chen-Ya Wang, Seng-cho T. Chou, Hsia-Ching Chang (2010). Exploring an Individual’s Intention to Use Blogs: The Roles of Social, Motivational and Individual Factors. Proceedings of the 14th Pacific Asia Conference on Information Systems (PACIS 2010), July 9–12, Taipei, Taiwan. Yen-Ting Chen, Tsung-Yu Chou, Chen-Ya Wang (2010). Exploring Consumers’ Continuance Intentions for B2C Online Shopping: Fairness and Trust Perspectives. Proceedings of the 2010 International Conference on Business and Information (BAI 2010), July 5–7, Kitakyushu, Japan. Hsia-Ching Chang, Chen-Ya Wang (2009). Social Search: A Good Compass for Online Way‐finding?. The 10th Annual Information Architecture Summit (IA Summit 2009), March 20-22, Peabody Memphis, Memphis, TN, USA. Chen-Ya Wang, Hsin-Yi Yang and Seng-cho T. Chou (2006). Using Peer-to-Peer Technology for Knolwedge Sharing in Communities of Practices. Proceedings of the 10th Pacific Asia Conference on Information Systems (PACIS 2006), July 6–9, Kuala Lumpur, Malaysia.